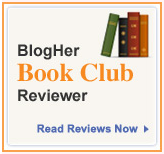 The prompt and response roundup for this roundtable are from the fabulous Susiebook! She writes about open adoption, pregnancy after placement, and being a first mom to her one-year old son at Endure for a Night. If you're not reading her thoughtful, honest (and well written) blog already, I definitely recommend it. Dawn (adoptive mother) at This Woman's Work: "I have no desire to define Pennie’s adoption experience, ok? I said that and I mean that. But I do desire that Pennie know that she is one rocking woman and a fabulous mother and a survivor (not a victim) of her circumstances.... I also want her to know that regardless of how she feels about her surrender of Madison and my adoption of Madison that there are still things that were wrong." Brandy (first mother and adopted adult) at Our Life in the Desert: "I guess, the basic answer is that I don’t talk about the bad stuff – or stuff that could be confused as bad. I find I’m not often honest about my feelings related to certain topics, like never getting pictures…"
JNBJourney (adoptive mother) at Our Story: "So far, we have been very reserved as our relationship is starting. I truly pray that as time passes, we will continue to grow our relationship and that we never encounter something we feel we need to not share with Dom’s BPs." Cindy.psbm (first mother): "Anyways, the thing I currently wouldn't want my sons adoptive parents to really really know about would be that I do share some pictures of him on a private forum(for first/birthmoms only)and that I share about my frustrations about them there as well." Jess (adoptive mother) at The Problem With Hope: "We share pretty much everything from our end...we've been honest with how I GOT pregnant (IVF) and why we were pursing both (cause we wanted both!) and we see them often enough that they know how we parent and what goes on around here." 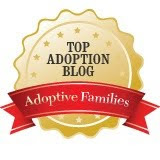 I am (first father) at Statistically Impossible: "I don't want the other triad members to know how the adoption plan and current adoption relationship effected the relationships I have with my immediate family." Andy (adopted adult and adoptive mother) at Today's the Day! : "For me the very first obvious thing that came to mind was coming out to Iris, my first mother. We had not been in 'reunion' very long, she had been very hesitant to have any contact with me at all and I wasn't sure how she would take to finding out that the little baby she placed for adoption had grown up to be a lesbian." Spyderkl (adoptive mother) at Evil Mommy: "School Girl’s life before she met us is really none of my business. It sounds a little callous, and it’s a hard thing for me to say, but it’s not my story. It’s School Girl’s, and I hope she gets to hear it when she can truly understand and appreciate that story. All of it, from the day she was born to the day she was placed with us. But as her parent, it’s none of my business. I really don’t need to know." Rredhead (adoptive mother) at Adoption.com: "There are things we don’t tell Jack. We will someday, when it’s age-appropriate, but he doesn’t know them now. I won’t tell anyone else before I tell Jack, so you don’t get to know either. These are things like why his birth father didn’t meet him – he knows that K didn’t meet him, but doesn’t know why that is." 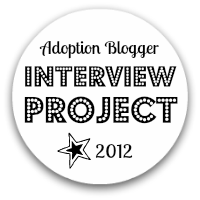 Alyssa (adoptive mother) at A+A Adopt a Baby: "But there is a part of my story that sometimes I wish I could hide, and feel quite private about. It is the part where we sought medical help to get pregnant. I don't like to think about those experiences very much, and I struggle with feelings of regret that we even went there." DrSpouse (prospective adoptive parent) at What Am I? : "We don't have our adoption yet but one of the things I've thought about a lot is how much to share with future children about our miscarriages. And if we have an open relationship with our child's biological parent(s) then this is something we'll need to share, or decide not to/how much to share with them. " Thanksgivingmom (first mother) at I Should Really Be Working: "I suppose that I don’t really share any of the ugly parts with Dee. How hard it can be leading up to a visit, after a visit, in general. I do this not because I choose to keep that side from her, but more because I’ve taken her hints that she’s not into hearing about that." Susiebook (first mother) at Endure for a Night: "Originally I planned to say that I don’t want Ruth and Nora to know that I regret placing Cricket, but I’m not actually sure that that’s true. I don’t want them to know if they don’t want to know, but I do kind of want them to know—more than that, I want them to want to know." Sara (adoptive mother) at Unofficial Mom: "There aren't things I purposely hide from my daughter's birthparents. There are things, however, that I don't feel compelled to share." Deathstar44 (adoptive mother) at A Woman My Age: "I’m not proud of the fact that we check out K’s birthmom’s social page from time to time to see how she’s doing; or more accurately, to find out if she’s told us one thing and she’s doing something completely different. Mind you, there’s a reason for the distrust." Sarah Buttenwieser (adoptive mother) at Standing in the Shadows: "I don’t want to compromise the love and trust we share. At the same time, I want to put this idea into the world: that adoption comes with inherent challenges and inexorable sadness and huge gifts. I can’t do that without sharing the why of believing all this to be true." Ginger (first mother) at Shattered Glass: "You can’t unbreak an egg. And so I’ve reaffirmed for myself why I should keep secrets secret. Keep my inner thoughts to myself. Here on the blog, it will do no harm. In the safety of the counselor’s office, I can feel free to say what’s on my mind, even if it’s jumbled. Beyond that, I should keep my big mouth shut. It’s safer." Jenna (first mother) at The Chronicles of Munchkin Land: "But really, I’m otherwise an open book. My daughter’s mom knows things about me that most people do not. I trust her with my firstborn; surely I can trust her with my inner most secrets." Heather (adoptive mother) at Production, Not Reproduction: "We all know that a relationship in which everyone just pretends everything is peachy keen is about as deep as a rain puddle, which is not what I want for our open adoptions." Posted at 8:00 AM 20 comment(s) - add yours! Some recent pictures of the kids, who are growing like weeds. Same password as always. My email has been a little wonky lately, so if you asked for the password and it seemed like I never responded it wasn't because I was shunning you. That actually goes for any email to me. Posted at 1:05 PM 7 comment(s) - add yours! Going about the day--making pies, washing dishes, fixing hair--on Sunday, I kept thinking about the fathers in my family. I thought about a great-grandfather run out of town by two steely great-great aunts after my great-grandmother's death, never to be heard from again. And about my maternal grandfather, the one who by age four had lost his both his parents, one to death and the other to the efforts of the steely sisters. A special needs parent before the term existed, he doted on my uncle with tenderness and pride, giving him as much of the world as he could in what ended up being a too brief life. When taking my uncle's casket to the family plot, the family story goes, he couldn't bring himself to travel in the same train car as his body, so devastated was he by what he had lost and what he still had to do. I thought of my paternal grandfather, a man so selfish and distant that his son--my dad--would decide he never wanted children, for fear of that he would be like him. And of my own father, who when faced with an unplanned baby (wee me), wrestled those fears to the ground and became a loving, devoted dad. He was in grad school when I was born and spent many, many hours with me snuggled up against his chest in a baby carrier while he studied. When I woke crying in the middle of the night as an infant, it was my dad who would come cradle me his arms, taking me back to my mother so I could nurse. I thought about the blank space on Firefly's first birth certificate where Kevin's name should be. Remembering Beth interrupting the hospital social worker briskly moving through form to say no, wait, I want to add her father's name. I thought of how incredibly strong she was in that moment, the culmination of so many months with her counselor working through Kevin's very real wrongs against her until she came to a place in which she could ask to give his name the same standing as her own: I want his name there for my daughter's sake. I remember how swiftly the social worker snatched that bravery from her: Are you two married? Is he here to sign? There's nothing I can do. The law is very clear. Men need to be protected, because women could lie. I thought about Puppy's first dad and the love Puppy has for him. About how he has had to stand up against all the people who think that his consenting to the adoption automatically puts him in the category of men who bolt from responsibility. What ignorance that is, how utterly blind to the commitment Ray has made to staying part of Puppy's life no matter how hard it can be for him at times. I wish they could see the two of the together and the easy way they have with each other, the pride Puppy has for "my Ray," as he often calls him. I wrote something this year that ended up in a magazine (I'm still shocked), something I started thinking about a year ago today. It was about Ray, Puppy's first father, and the love I see in him for his son and how that love grounds Puppy in a deep, real way. If I never publish anything again (which, let's face it, is likely) I am proud that was the thing that I put into the world. Something that said that birth dads need a seat at the table in open adoption, because adoption is about them, too, and because their presence offers something unique and vital to their children. Fathers are important to us and influence us, both in the ways they are present and the ways they are not. And I bet the reasons they are absent are often more complicated than we expect. Posted at 1:42 AM 8 comment(s) - add yours! Lifegivers was aimed at adoption professionals, to help them reframe first parents in their adoption practice and bring them out of the margins of adoptions into a center shared with their children and their children's adoptive parents. Gritter dismantles the unfair concepts of birth parents as The Other, whether that Other is undeserving sinner, unapproachable saint, little more than a baby-maker, or dysfunctional person to be kept at arm's length (or further) from adoptive families. He shares what he's heard from years of listening to birth parents talk about their ambivalence, grief and regret and how those intersect with their open adoptions and ebb and flow over time. Finally, he offers up an ideal model of how birth parents can be affirmed and respected as an ongoing part of their children's lives. Speaking as an adoptive parent, I think it's a worthwhile read. The chapter on creating an adoption process that values expectant parents as equal participants would especially be good for prospective adoptive parents (and expectant parents!) to read while in the agency/facilitator research phase. Posted at 6:33 AM 8 comment(s) - add yours! Posted at 3:19 AM 7 comment(s) - add yours! Babies Don't Eat Pie. Poor Babies. I made tiny pies! Cup-pies, for those of you still carrying a torch for Pushing Daisies. I'm quite taken with them. They were for a baby shower I helped host. When Puppy heard the menu, he was concerned. "But, Mom, babies can't eat any of that!" It's a kick to be able to actually talk with him and get a glimpse into his thoughts. When he was still a baby, I remember being almost melancholy at the thought that he would grow into boyhood. He was my perfect widdle baybee and I couldn't imagine that it could possibly get any better than it was at that stage. But it did. It really did. And it will again. Posted at 11:40 PM 6 comment(s) - add yours! I wrote all this out before realizing that I misread the prompt at GIMH's adoption poetry carnival. Apparently I was supposed to write a poem about adoption, not share a poem. I haven't written a poem since my angst-filled college years ended. You really don't want me to start again, trust me. And this technically isn't a poem, but song lyrics. I suppose I cheated twice over. So, oops. But I'm linking anyway! I admired singer-songwriter Joni Mitchell's talent for years before I learned the story behind her song "Little Green ." She wrote it a few years after placing her baby daughter for adoption, a little girl she named Kelly Dale. When Kelly was born, Mitchell was still Joan Anderson, young and struggling to make a living, unaware of the huge success that was just a few years away. You can read more about her story and how its details are woven into the song. It has so many of the heartbreaking elements common to that era (and, admittedly, still often true today): secrecy, immense social stigma against unwed mothers, agency workers pressuring her as she tried to find a way to raise Kelly, discrimination from the hospital. She kept her daughter and the adoption private for decades, until it was revealed by a tabloid in the 1990s. The two reunited in 1997. "Little Green" reminds me that far more people than we ever realize have adoption in their life's story--people we work with, laugh with, shop next to, admire or despise from afar. There is something terribly poignant to me that millions of people listened to these words for decades without knowing what a deeply personal thing Mitchell was sharing with them. The story of her little kelly green. Posted at 11:11 AM 3 comment(s) - add yours! If that sounds potentially interesting to you, let me know! ETA: Facebook-er secured! Still looking for a friendly clicker. Posted at 1:21 PM 4 comment(s) - add yours!